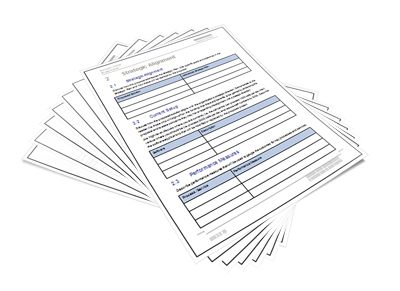 Download Software Development Templates, Forms, and Checklists to improve the quality of your technical documents, user guides, and online help. Want to improve the quality of your technical documents but don’t know where to start? These templates will help. For less than one day of your annual IT budget, you’ll save a huge amount of time, improve your documentation, and allow your developers to stay focussed on writing code. Save time instead of searching for free templates, formatting, and trying to make them consistent with other documents. Instead, download these MS Word and Excel templates, share them with your team, and improve your technical documentation. After you click Buy Now, and make the payment, you’re sent to a Download page. One that page, there is a ZIP file. Save it to your computer, then unzip the files, and start writing! Inside the ZIP file, you’ll get over 575 pages of MS Word Software Development Templates. 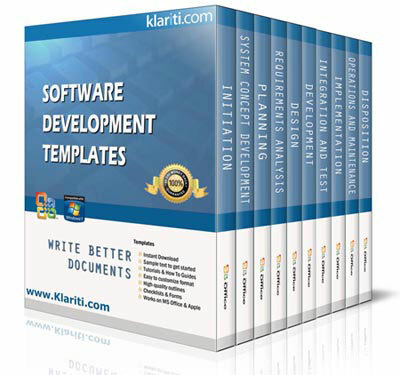 This includes 60 templates to help your developers, testers and technical writers during the software development lifecycle.